Most of my recipes can be made in a few minutes. 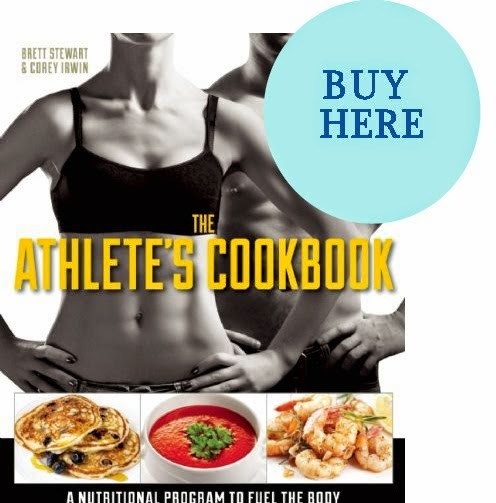 Clearly, this is not one of those recipes. :) The pasta is made from scratch, & I'm not going to lie, that can take a while. So, this is one recipe that's probably best to make on the weekends, when you have more time to make the homemade pasta. 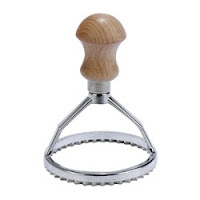 The reason for all the effort is this: The payout of making your own fresh pasta is huge. You might even be tempted to chuck out the dried stuff after tasting the homemade variety. ;) OK, maybe let's not go that far. Surely dried pasta has it's place, & no doubt, it's a really time-saver when one is in a pinch for time. However, when it's good, nothing compares to freshly-made pasta. In fact, while the Chinese are commonly credited for first inventing "pasta" (in its noodle form), it's likely that the popular legend of Marco Polo introducing pasta to Italy after his Far East explorations in the late 13th century is just that -- nothing more than a legend. There is scant evidence supporting this claim. Perhaps the Italians took the Chinese concept & made it their own, but it's also just as likely that they could've invented their own version separately. How do we know this? An Etruscan tomb from 4th century BCE depicts a group of indigenous people making what appears to be pasta. Also, Marco Polo also appears to have been familiar with the term, "pasta" before he even set foot in Asia. Also, the Middle East & Greece also appear to have been making their own versions from very early times as well, so it's unclear if the Italians created their own form or got the idea from somewhere else. There's a lot of speculation about this particular chapter of Italian history. 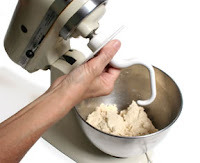 Directions: Set up dough hook attachment in an electric mixer. Add flour, egg, & salt, & mix on high speed. Stop mixer every so often to fold in flour from sides of the bowl. Mix ingredients until dough ball is formed. (If you'd like to make dough the old fashioned way, pour the flour into a mound, make a small depression in the center, & drop the egg & salt into this hole, folding in the flour from the sides until fully mixed. Lightly oil hands & then knead dough, adding flour &/or small drops of water as necessary.) Be very careful to not overwork the dough or it'll become loose & crumbly, & lose its elasticity; this makes the dough extremely hard to work, as it'll easily tear, thus making the agnolotti a challenge to properly assemble! Place towel over mixing bowl, & let dough set for an hour. After an hour has passed, remove doughball, & roll out onto floured surface with a rolling pin. Be sure to generously flour both the dough ball & the rolling pin, to keep them from sticking to each other. Roll out dough until it's approximately 1/8" thick and has a smooth, flat, & even consistency. 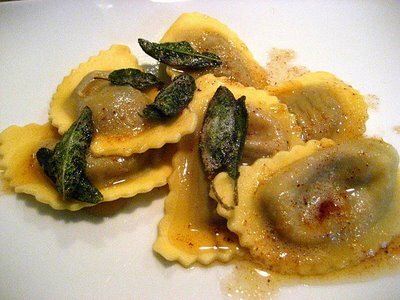 There are several ways to form the agnolotti: You can make them in assembly-line fashion by making a large rectangular dough shape, spooning out small dollops into the bottom half of the pasta sheet every few inches in evenly-spaced, parallel lines, & then folding the dough over top, sealing the pasta, & cutting out the shapes with a round ravioli stamp. 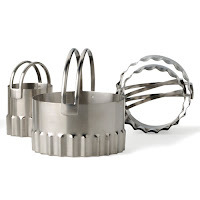 Cookie cutter molds, fluted biscuit cutters, & rotary style ravioli cutters will also work just as well.) To get the "half-moon" agnolotti shape (or mezzelune in Italian) in this particular configuration, you'd need to position the ravioli stamp exactly half-way over the folded edge & press out the shapes. Or, alternatively, you can cut out the circles first, place a dollop of filling on each one, & then fold & seal each pasta shape individually. In either case, be sure to press out the air with your fingers. 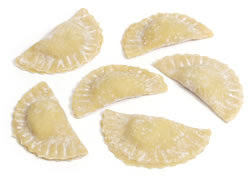 If you don't have a ravioli stamp, press the tines of a fork around the sealed edges of your agnolotti to create pinked edges, if you so desire. Allow pasta to set for another 10-20 minutes. At this point, you can either cook the pasta, or freeze it for future use. Some people like to freeze the pasta for a few hours so that it hardens a bit before cooking. I personally think this step is unnecessary for the most part, as the whole point is use the pasta when it's super-fresh & soft. If you're planning to cook the pasta right away, please note that fresh pasta cooks a LOT faster than dried. (Most dried pasta is typically cooked 10-11 minutes, unless you are planning on cooking it further, i.e., in the over or in a sauté pan, etc., in which case you'd intentionally undercook it in its first stage.) As is the usual practice, bring a pot of water to a rolling boil, add a dollop of olive oil & a pinch of salt, & cook the pasta for roughly 4-5 minutes. Remove from heat & reserve about 1/2 c. of the pasta water. Drain pasta & set aside. Next, make the sauce: The following few steps must be done quickly, in order for the sage to maintain its color & texture. The technique is akin to flash-frying: Heat olive oil in sauté pan until sizzling hot. Then quickly add fresh sage leaves & cook 30 seconds on high heat. Do not let sage brown or burn. If necessary, tilt pan & stir ingredients to prevent discoloration. Turn off heat & leave pan on the burner. Then, while pan is still hot, add butter, hazelnuts, & pasta water, & continue to stir rapidly until butter has melted & ingredients have been thoroughly mixed. Then, as soon as butter melts, add in the agnolotti & stir to coat them in the sauce. Quickly remove pasta from pan (so that it doesn't stick to the sides of the pan) & place on a plate, pouring any excess sauce on top of the pasta. While agnolotti is still warm, sprinkle freshly shredded Asiago on top & serve. 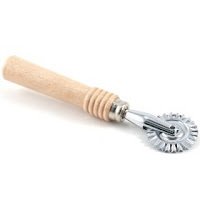 Chef's Notes: Not long after I typed up this recipe, I found a really cool pasta-making accessory -- the ravioli cutter & sealer. It looks like it's a lot more practical & easier to use than some of the other tools mentioned above. Plus, since it does two things at once - it simultaneously cuts & seals the ravioli in a single rotary motion -- it appears to be a real time-saver as well.